SALT LAKE CITY (AP) — A $500,000 state-funded study, designed to gauge marijuana’s impact on pain, has been delayed so many times due to federal regulations that it might not be ready before Utah voters decide in November whether to pass a medical marijuana ballot initiative. Ivy Estabrooke, executive director of the Utah Science Technology and Research, told the Deseret News it took nearly a year and a half for researchers to jump through the legal hoops necessary to begin the study this summer. Even if the study’s findings are too late to influence voters, Estabrooke said, it can still help the state going forward. The study aims to examine how cannabis affects people who suffer from chronic pain. Subjects will receive chocolate pudding laced with different combinations of THC, marijuana’s key psychoactive compound, and cannabidiol, its non-psychoactive ingredient, as well as a placebo. “We’ll have a better informed idea of whether it’s truly helping with pain,” Estabrooke said. Marijuana is legal in some form in more than 30 states and the District of Columbia, but it remains illegal at the federal level. Despite increasing acceptance, there is little rigorous research on the benefits and harms of marijuana. Last year, a government-commissioned group concluded the lack of scientific information about marijuana and cannabidiol poses a risk to public health. 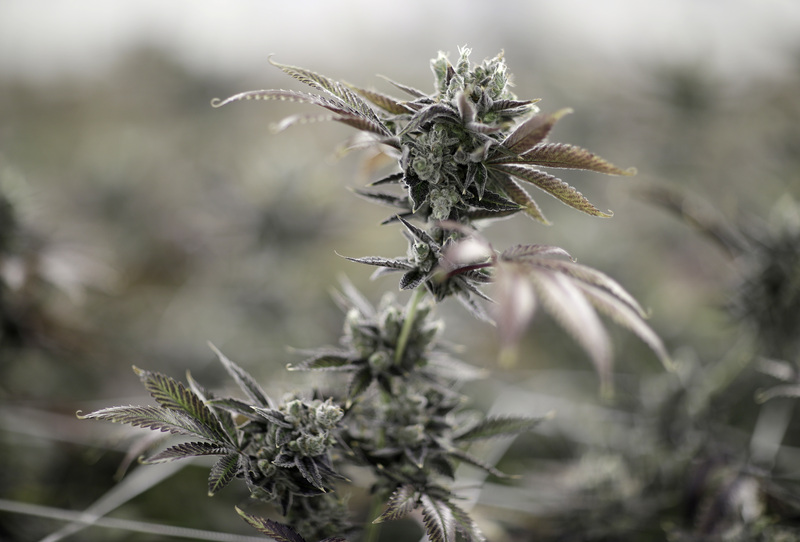 The ballot initiative before Utah voters in November would create a regulatory system for growing and distributing marijuana products to people with certain medical conditions. The law would not allow people to smoke marijuana but instead limit them to topical, edible and oil products. Opponents of the initiative, including Republican Gov. Gary Herbert, say there has not been enough reliable research into the treatment’s benefits and side effects. Supporters have dismissed those concerns. DJ Schanz, director of the pro-initiative Utah Patients Coalition campaign, said Utah lawmakers’ funding of the study was a smoke screen that allowed them to posture as if they were confronting the issue while in fact delaying actual work. It does not matter.Im sure the study will show that it is harmful to a person’s health.I use to have total confidence in the Utah legislators and the LDS Church but not any more.The LDS church has over a billion dollars in big Pharma stocks.Talk about conflict of interest.Plus I have asked every Mormon I know which is lot of people and I can not find one that is against the Med Marijuana.But yet the LDS comes out hard against it. Jaybird, please refrain from changing your screen name to pretend to be other commenters. I would love to see the proof that the LDS church has stock in big Pharma, please share if you have more info. I always knew they were shady, but that is huge and makes total sense. The Church has stock in many things as do I. If you have a stock portfolio I bet you do to. Why so hypocritical? And LDS inc can do no wrong because IP’s mommy and daddy said so. Plus, you clowns have got the whole “living prophet” thing going, huh? Warren Jeffs is also a “living prophet”, every bit as much so as the LDS one. I’m not even sure who the new one is. Prophet Monson is still dead, right? The LDS organization is totally money driven. Them holding massive amounts of stocks in pharma is extremely distasteful and may be a conflict of interest in so many areas, but it’s legal, and I suppose they themselves don’t consider it ‘shady’ because they are making bank big time–good ol’ LD$ inc. $$$$$$$$$$$$$$$$$$$$$$$. comments has no money , that’s why he failed at being a Mormon and cries all the time. Let’s see, Utah has the highest opioid addictions of any state, highest suicide rate in the nation… But yet the state/LDS church can’t seem to stop trying to control their members with their unrealistic expectations of their members. No one overdoses and dies from marijuana use, but they do from opioids and alcohol, AND suicide. But hey let’s not give our citizens any relief from pain. Loser, no money , no job and no friends.. you are one miserable wretch “comments”. If you had half a brain you would be bikeand fish! jailturd has a mancrush on Trump and you got one on Caitlyn Jenner..hahahahahahahaha! Somebody needs to get a life if they are pretending to be that sad sack of shells (“comments”)! hahahahahaha! I believe evidence has shown that opioids are harmful to peoples health, but oxy’s are legal. What happens when a person is addicted to pain meds and they cant get a prescription? Hmmmm 1. They lie until they find a doctor that will prescribe it. 2. They get some heroin because it’s cheaper. People that smoke pot are already smoking pot.